Panchayat & Rural Development, Assam Combine Competitive Exam 2017-18 will be held on 20th May 2018. Admit Card for all the Post released on 8th May 2018 on official website of PNRD Assam. Download Admit Card For The Recruitment Of Following Posts Under P&Rd, Assam. Just follow the below steps to download your Admit Card. Step 2 : Then scroll the pages down and Click Recruitment & Career in the end of the page. 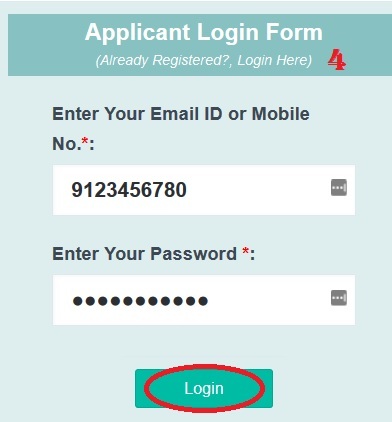 Step 3 : After that, Click Link to download admit card link under ‘Recruitment & Career’. Step 4 : Enter your Email ID or Mobile No. * and Enter your Password to Login. Step 2 : Click the ‘Download’ button to download your Hall Ticket. The written test will be of 100 marks and will be completely OMR based. There will be 100 questions and each question will be of 1 (one) mark. There will be negative marking of ½ mark for each wrong answer. Duration of Exam : 3 Hours. ** Candidates shall have to be present at the examination Centre at least 30 minutes before the Exam. ** Use of Calculators, Mobile Phones and any Other Kind of Electronic devices are strictly prohibited. ** Entry to the Examination Hall will not be allowed without this admission card. Candidates should also bring along with them a valid photo ID proof for verification. ** The candidates shall have to bring black ball Point pen to the Examination Hall. ** Candidates are not allowed to leave the examination hall until the examination is completed. ** Candidates are not allowed to re-enter the examination hall once they have left it.